Dorothy was passionate and optimistic. 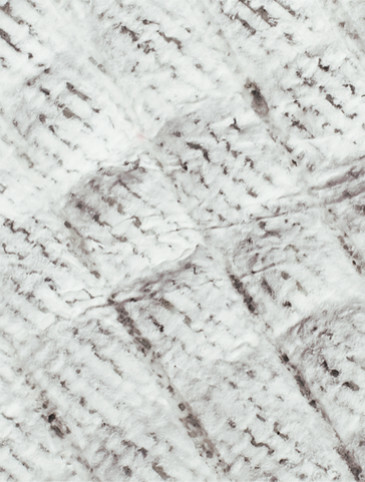 She secretly dreamed of the day she would create a unique soft-ripened cheese with creamy notes developing a robust flavor as it matured. 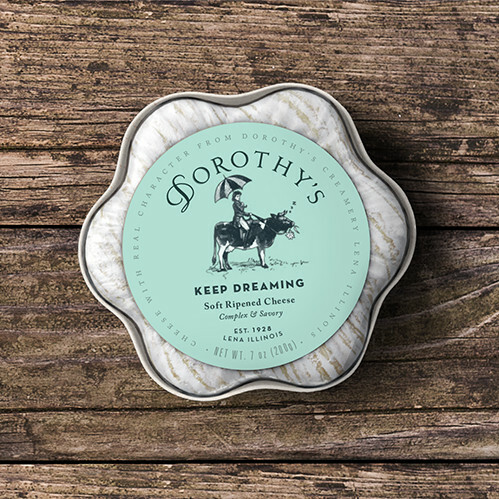 Her dream was made a reality in this tangy cow’s milk cheese. Nestled in the shape of freshly sprung flowers, it is complex, worth savoring, and proof that dreams really do come true. It’s all about love—the first ingredient in this oh so creamy crème fraiche. It’s the touch of sweetness that lingers and endures. Taste it in every savory bite and you’ll agree… It’s the stuff dreams are made of. INGREDIENTS: Cultured pasteurized milk and cream, salt, Vegetable Ash, Calcium Chloride, and Enzymes. 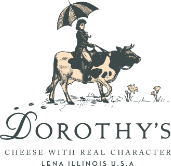 Crafted to perfection in Illinois, this complex and savory cheese features creamy and tangy notes, and when maturing, becomes even more robust. Full-bodied cow’s milk and crème fraiche combine to create an impossibly delicious soft cheese with a rich, buttery flavor and a smooth, melt-in-the-mouth texture. Flavors are bright, clean, and luscious, with a very fine, silky smoothness and delicious, long finish. Enjoy slathered on crusty bread with fig jam, or share with loved ones as part of a cheeseboard. Add a dash of its velvety texture to your favorite sweet or savory foods. Pair its savory taste with the earthiness of Pinot Noirs, ciders, and wheat beers. Flavor makes this brie particularly lovely with dry champagne.